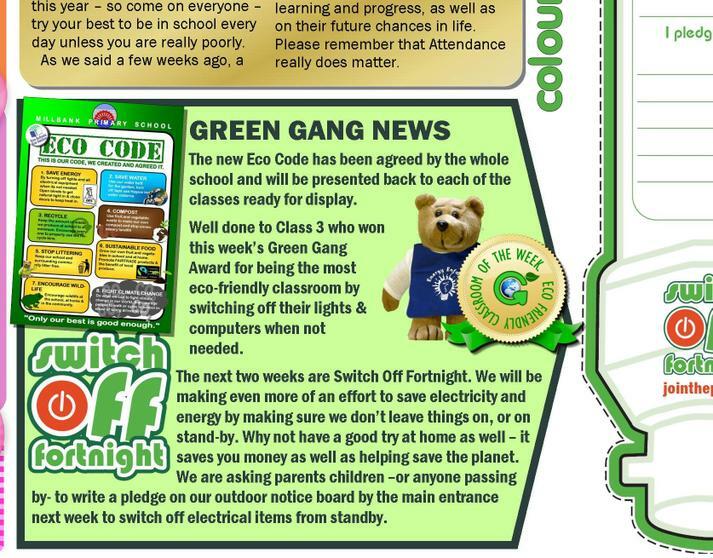 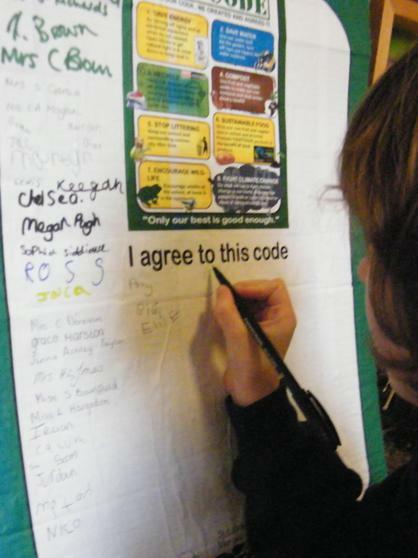 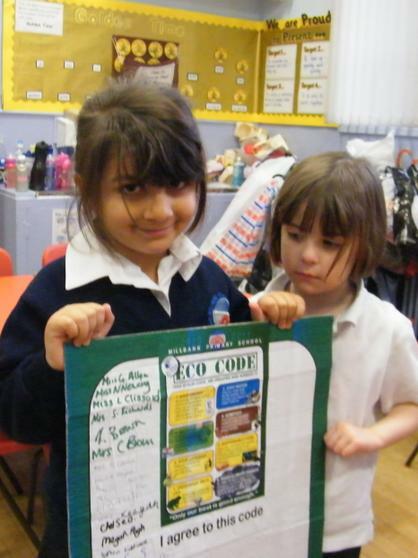 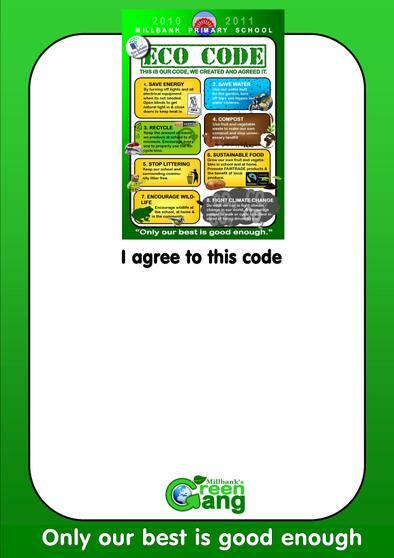 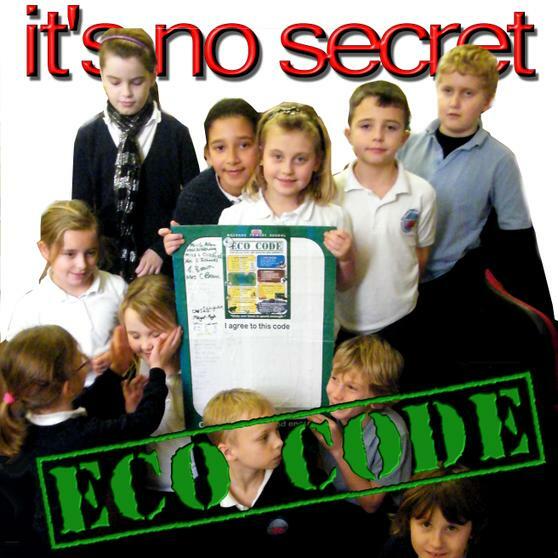 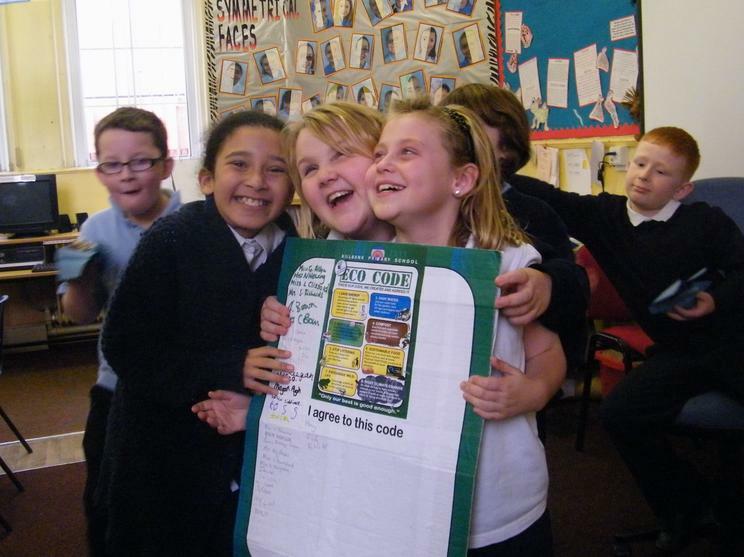 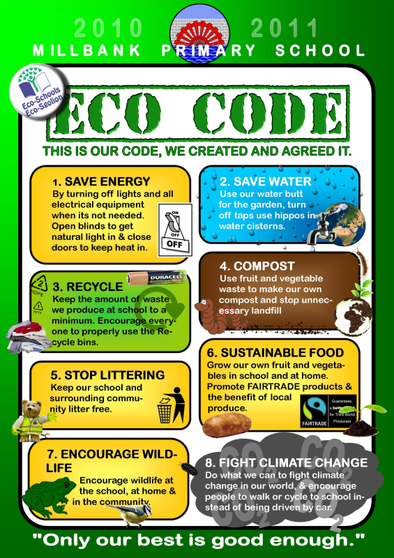 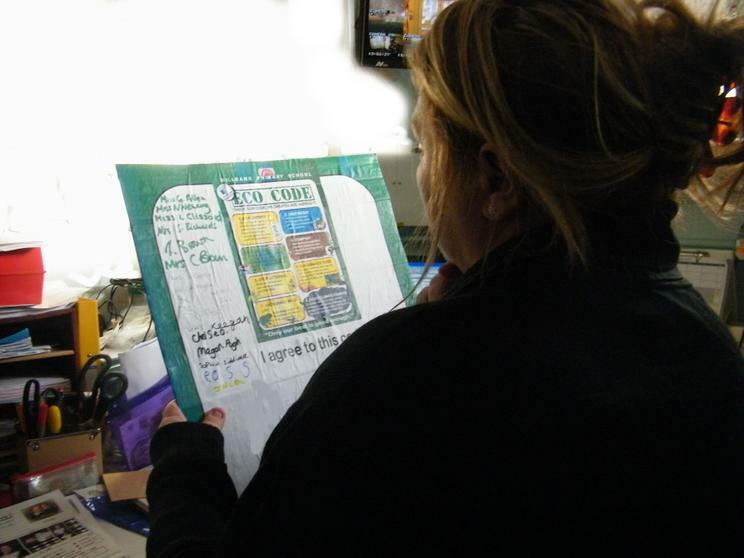 Every year the children get to put together thier own eco-code. 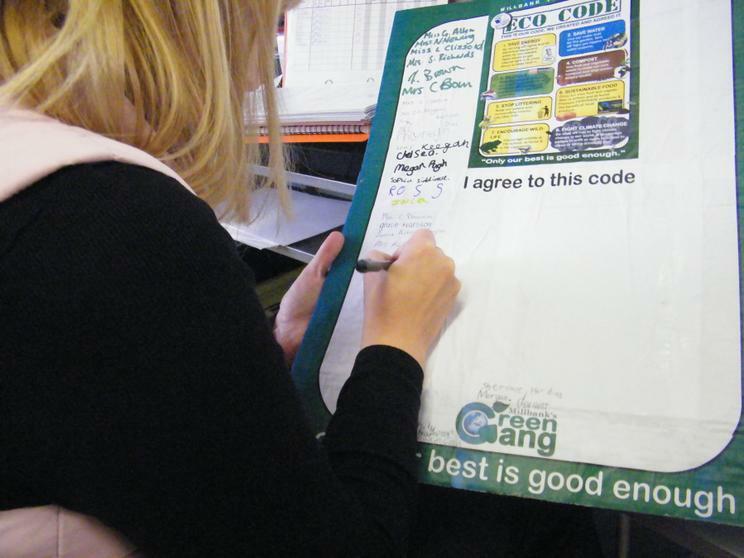 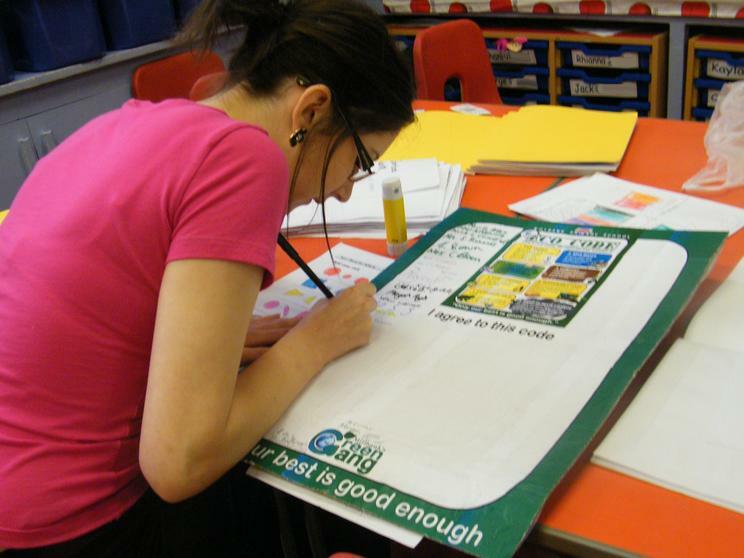 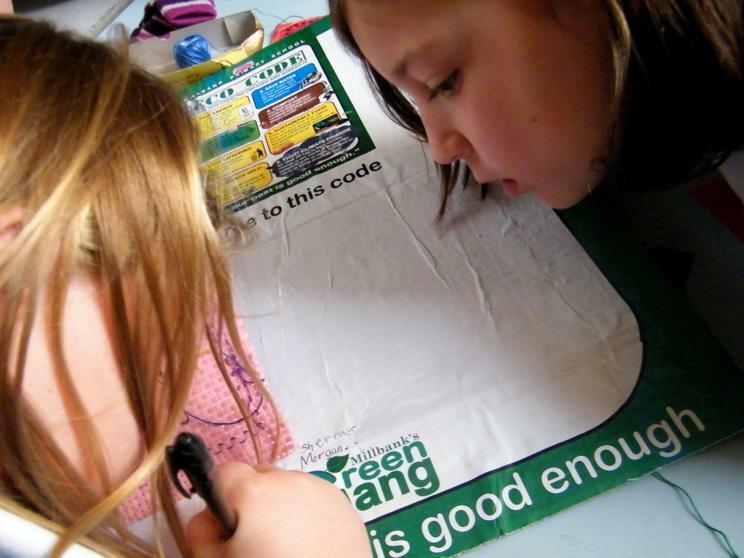 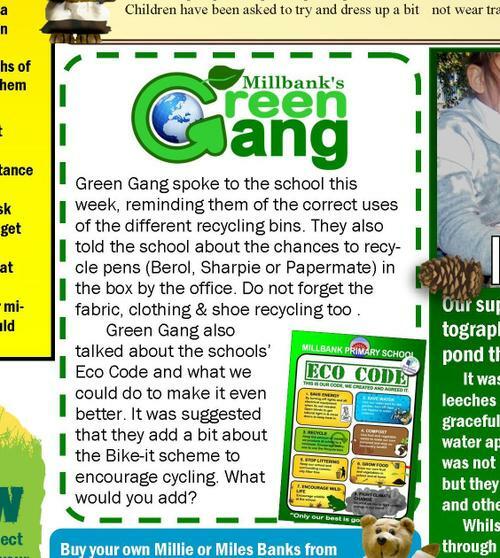 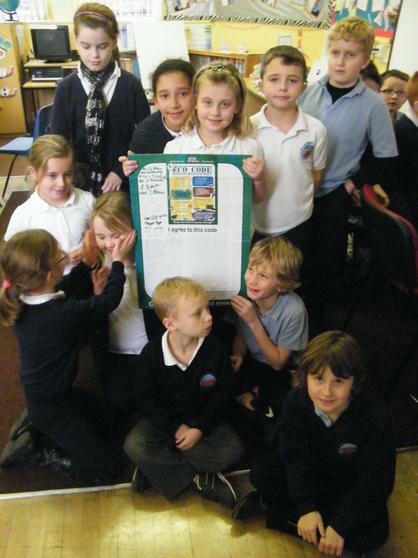 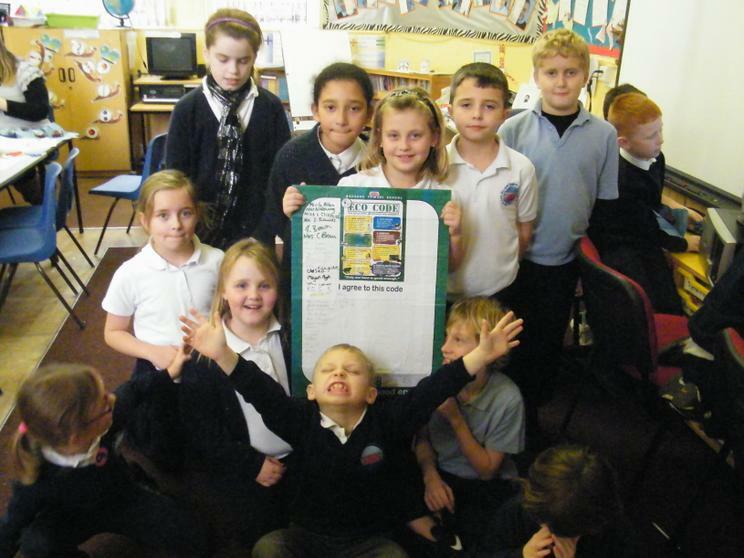 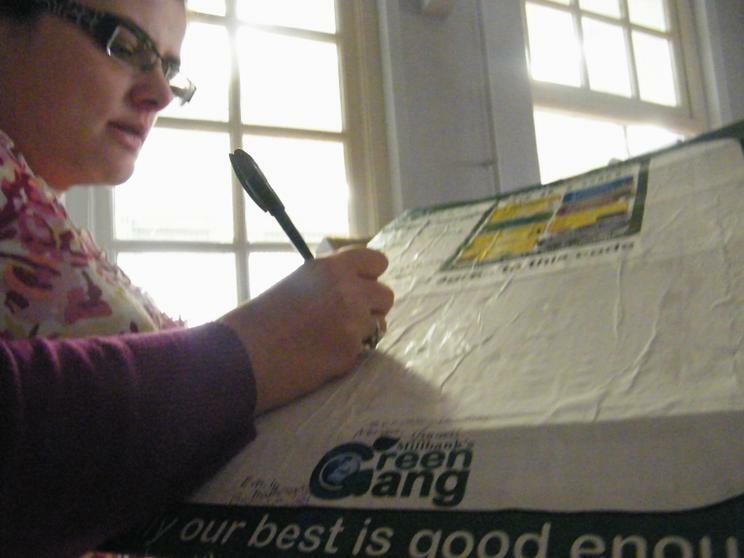 Green Gang is the afterschool club that takes the lead in all things green at the school as well as acting as the eco-committee, but like most of Green Gangs events and activities it is very much about involving the whole school community. 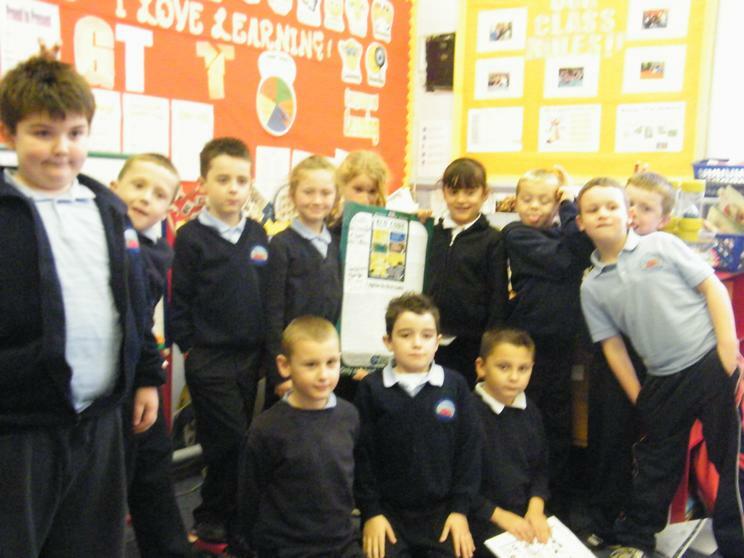 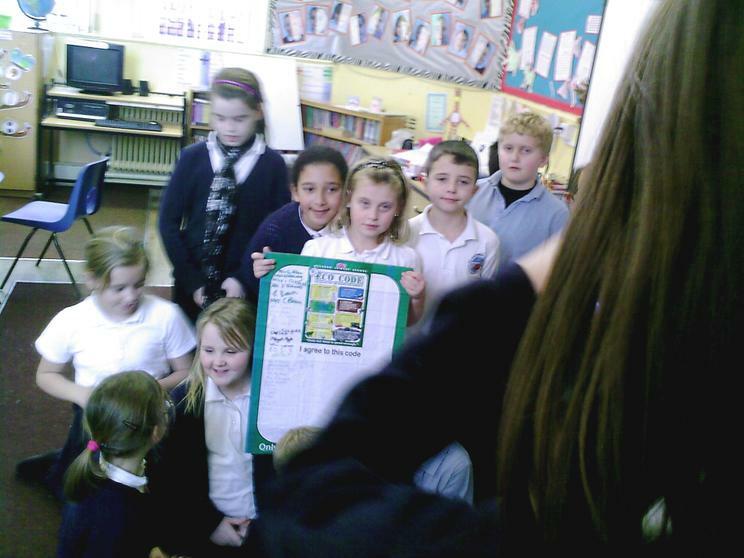 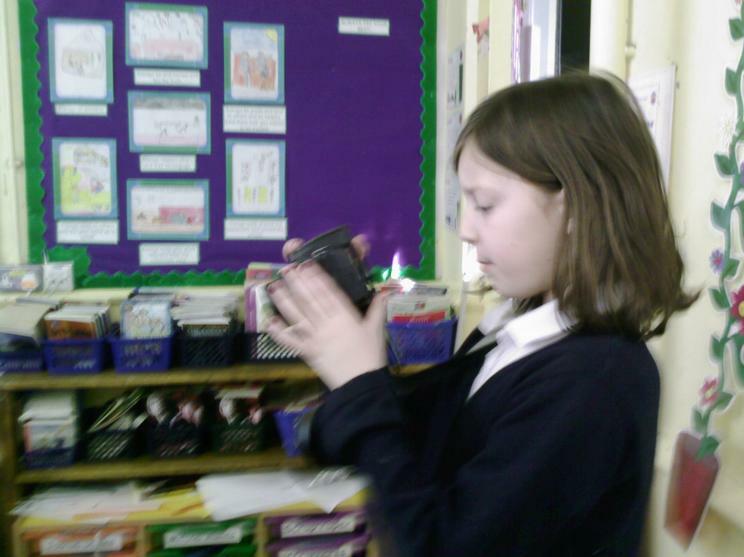 This year they have added a bit about cycling to school and promoting Fairtrade. 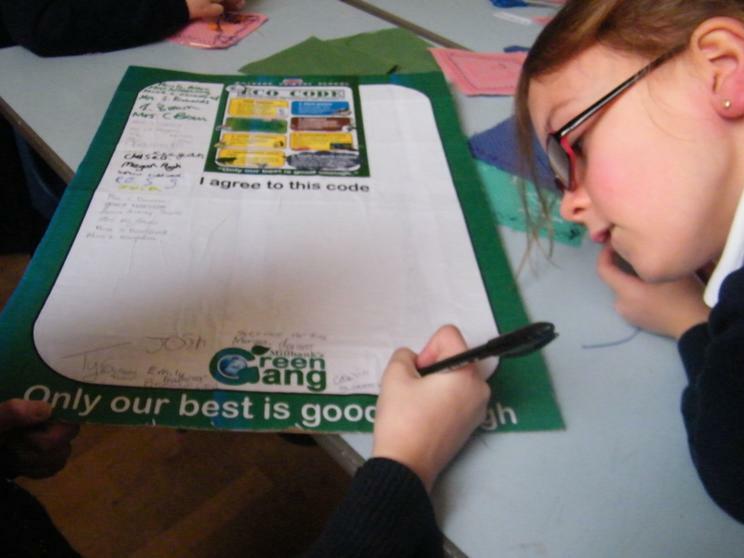 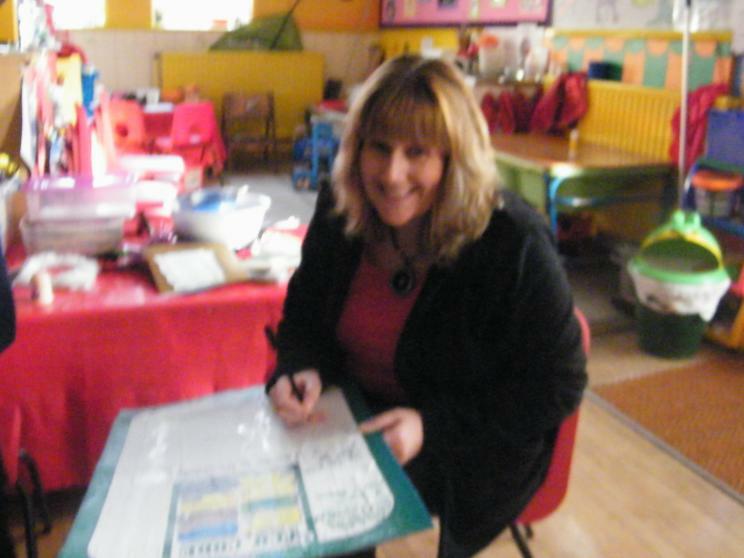 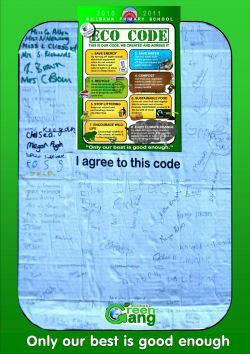 But rather than just discuss it at assembly and through the class representatives they made a poster and asked everyone including staff to sign to say they agree to it.